On Thursday 25 September staff and students from the Senior School departed Adelaide, bound for the Unites States of America, as they took part in the inaugural USA Science and Technology Tour. 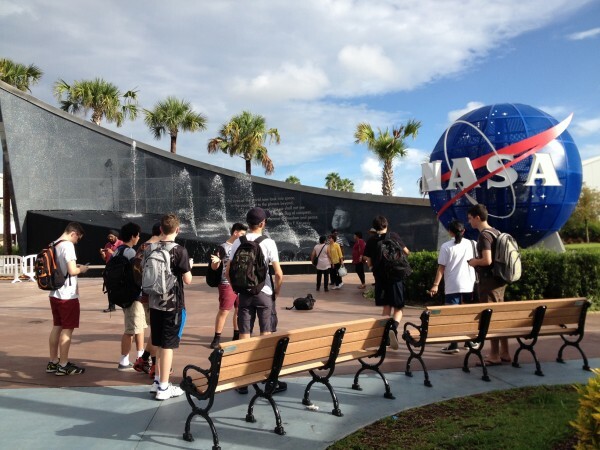 Students spent just over two weeks exploring the many science and technology attractions that the USA has to offer. Their exciting itinerary included the Kennedy Space Centre, Smithsonians, Museum of Flight, Space Needle Observation Deck, Microsoft Visitors Centre, Disney World, National Memorials in Washington DC, national parks and the California Academy of Sciences. The group covered much ground during the tour, visiting the interesting and diverse cities of Orlando, Washington DC, Seattle and San Fransisco. The aim of the biennial USA Science and Technology Tour is to encourage students to open their eyes to the many opportunities and areas of application of science and technology in their everyday lives.